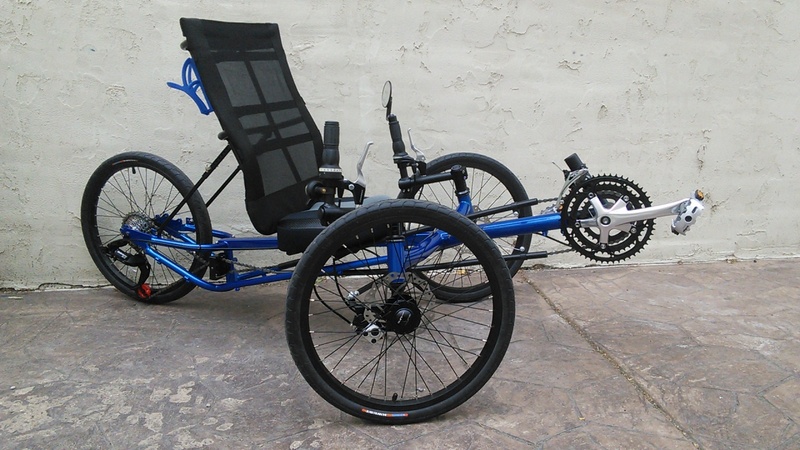 This recumbent trike might be the most fun anyone can have on three wheels. 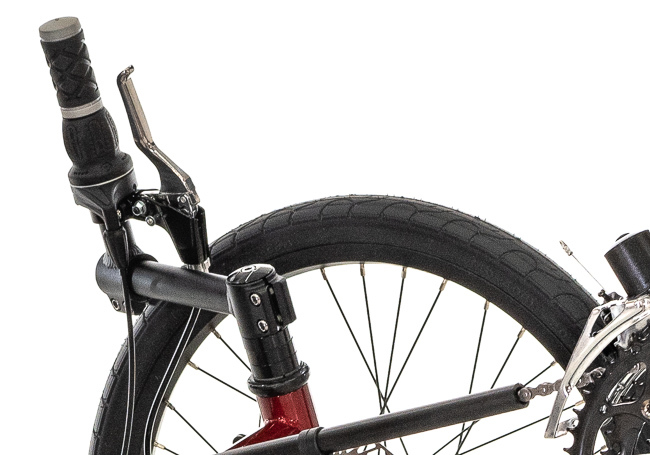 The EZ Tadpole SX has a low center of gravity that handles like a pedal-powered go-cart. 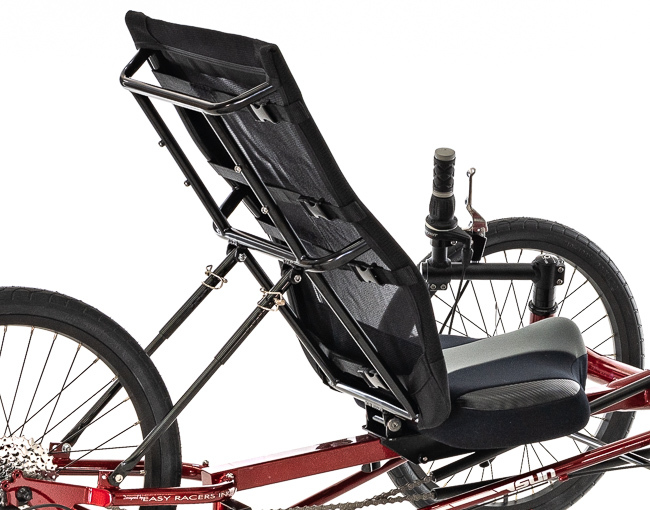 The EZ Tad SX was designed to introduce new riders to this thrilling world of trike riding without breaking their wallets. With 24 gears, it won't break their legs either. 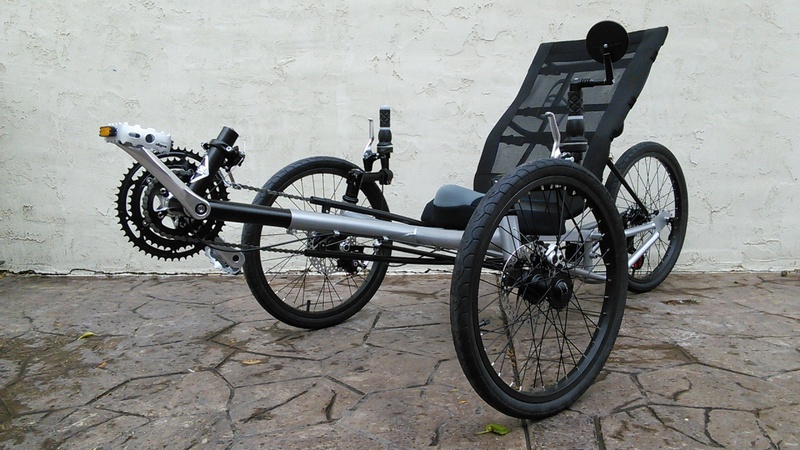 Updates to the EZ-Tadpole SX include Direct Steering, the new Slotted Seat adjustment system, and rattle-free and infinite-adjust seat struts. 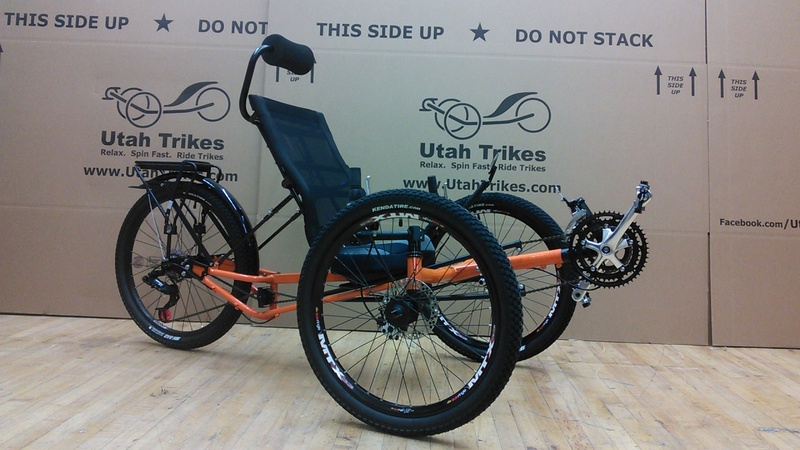 Please note that we do not charge for assembly and actual shipping costs to you are subsidized by Utah Trikes. 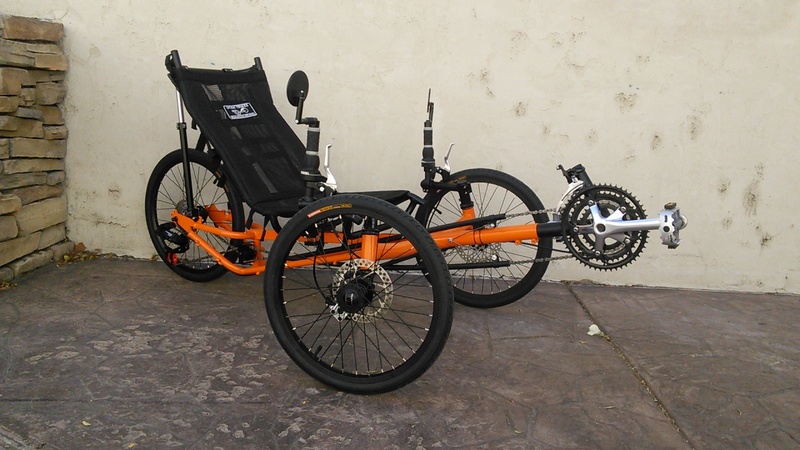 Optional items chosen through our Trike Configurator will be installed on the trike prior to shipping. Any price differences shown between items here and our standard parts catalog reflect the cost of installation and/or additional hardware needed to install the item. If you would like to install the item yourself please choose the options separately through our catalog. 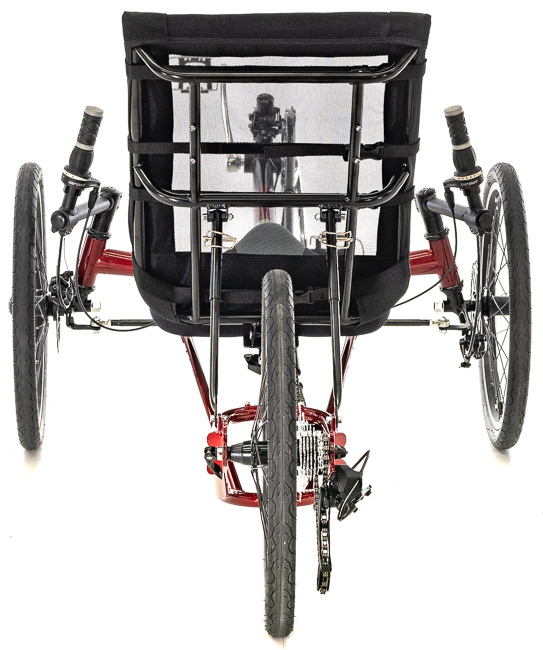 Also note, our trike customizer calculates the price difference between the stock component configuration and the many upgrades that we offer. 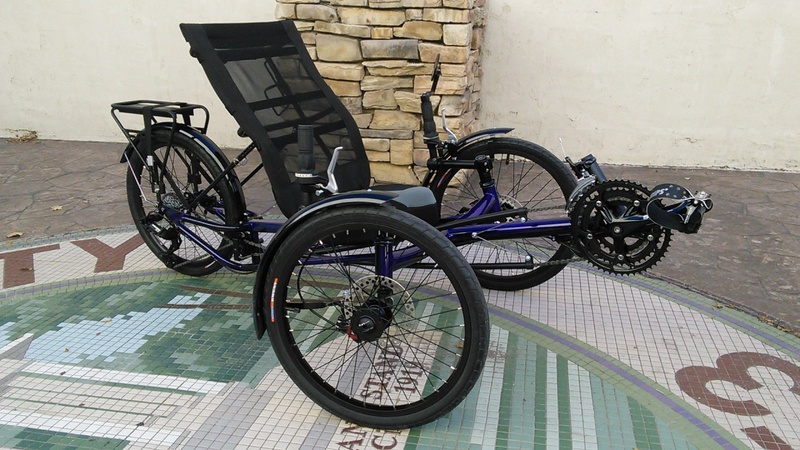 When you choose upgraded parts through this customizer you will not get the stock parts as the Trike Configurator calculates the price difference between parts. 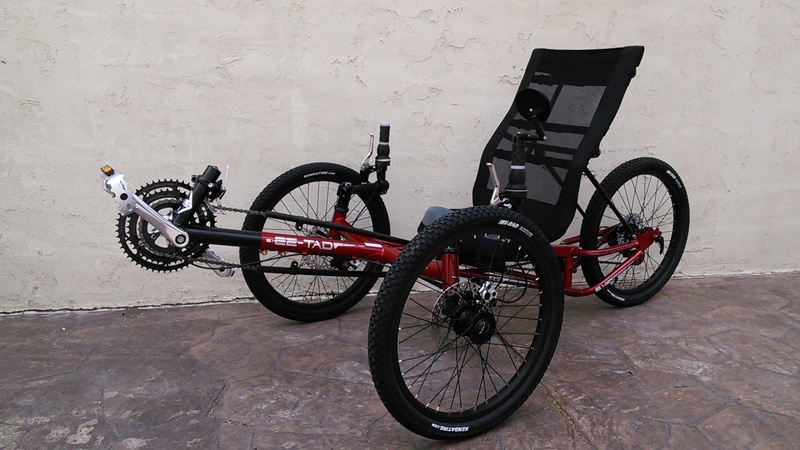 If you want all of the stock parts in addition to the upgrades you must choose the stock trike from here and then choose the full-price replacement components from our catalog. We are adding new options all the time. If there is an option you want us to add let us know. Please contact us if you have any questions. 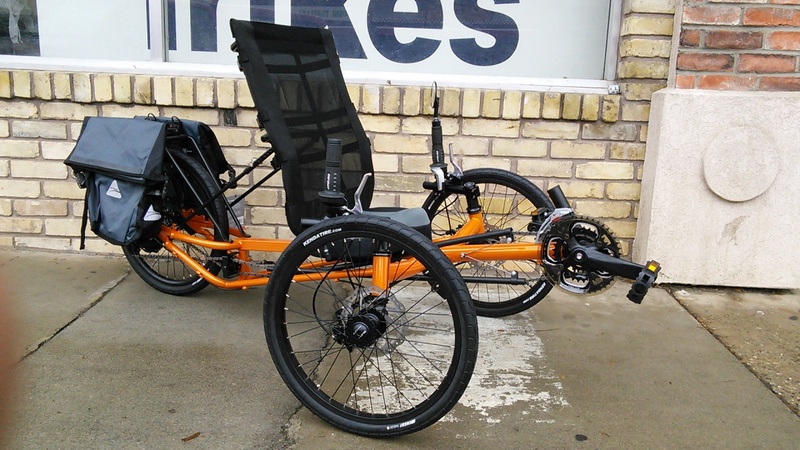 There's a reason this is called the "comfort trike." Take a look at that seat! Totally adjustable and totally comfortable. The bottom part of the seat sports a thick gel pad and can be slid across the frame to quickly adjust for different leg lengths. The back of the seat has adjustable recline and is made of a breathable mesh. 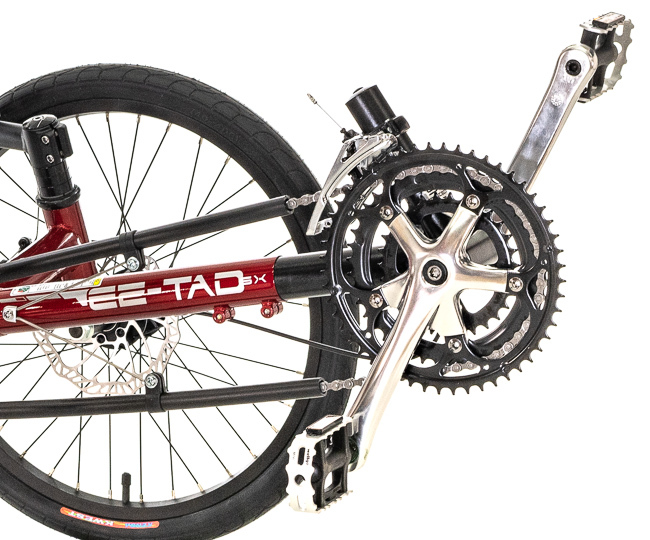 The EZ Tad sports a triple crank up front and a reliable 8-speed cassette in the back for a total of 24 gear combinations. 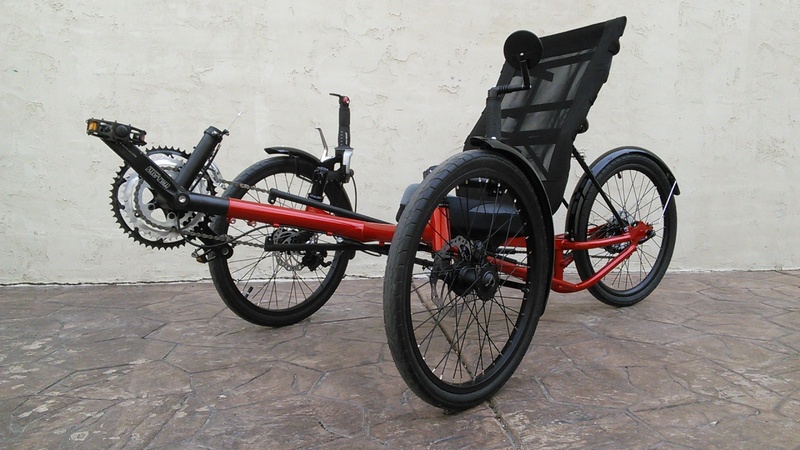 Combined with the 20-inch rear wheel this trike has low gear to climb any hill. 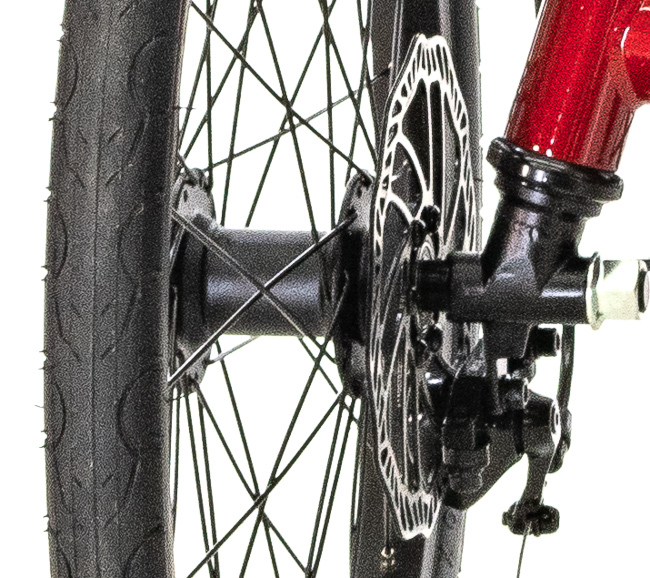 The EZ Tad SX is equipped with dual 160mm disc brakes. Plenty of stopping power even for the high-speed riders. The EZ Tad SX comes standard with three-way adjustable handlebars. 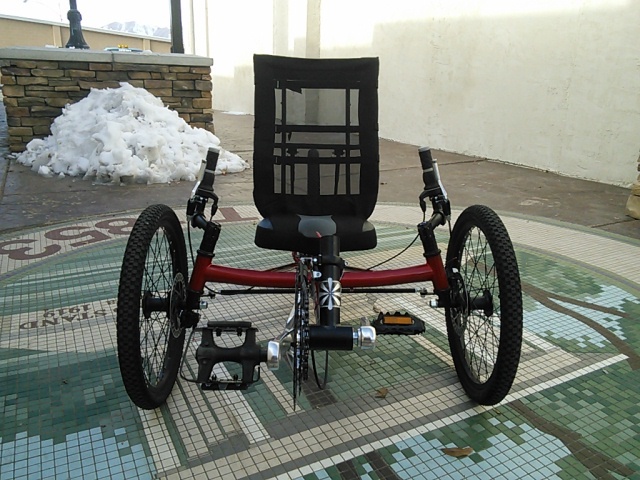 The trike features direct steering with a sharp turning radius and great handling. The handlebars can be adjusted for maximum rider comfort.  The Electro Tad: Electric power with an affordable price tag.